Carers in Leeds, who open up their homes to offer respite breaks to adults with support needs, have been invited to a celebration event on Friday 19 October to mark the first national Shared Lives week. Lord Mayor of Leeds, Councillor Ann Castle, will welcome carers, customers and staff of the Leeds Shared Lives scheme to the coffee morning at Oxford Place Centre on Friday, 19 October, 10am to 12 noon. 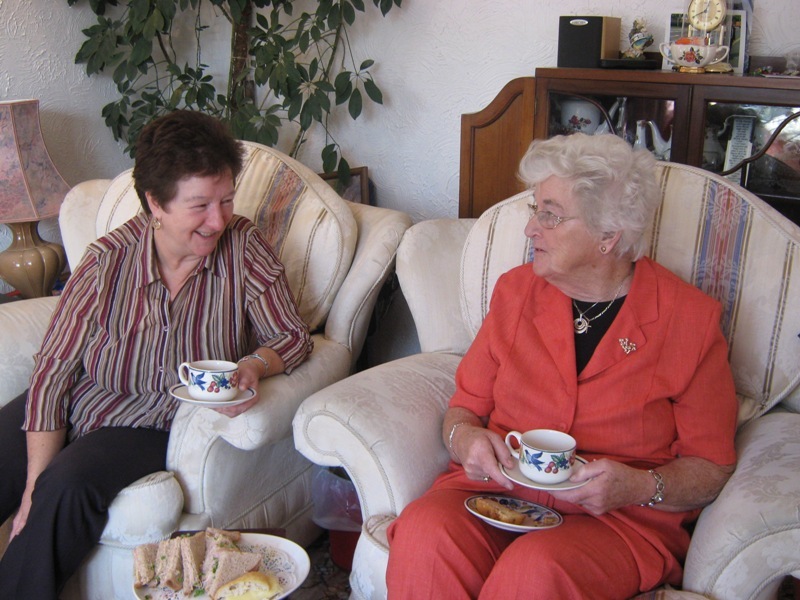 The Leeds Shared Lives Scheme provides short breaks for adults in the home of a shared lives carer, or support and companionship during the day either in the carer’s or individual’s own home for a few hours a day. There is also a night awake service available for people who need attention during the night, which allows their own family carer to catch up with their sleep. The scheme was established in 1978 (originally called Family Placement) to provide short breaks for children and adults with learning disabilities. When local authority services for adults and children separated in 2008, the adult scheme was re-launched in-line with national changes and became Shared Lives. Since that time the scheme has grown steadily and now has 170 carers offering support to around 550 service users. The scheme is successful in helping people with support needs to continue to live full and independent lives without having to go into other forms of residential care. “Shared Lives carers are everyday people that do something extraordinary for others. They open up their homes and families to people with support needs, and share their time and skills to build up valuable relationships with those people. “Leeds Shared Lives was the first local authority scheme in the whole country, and has developed over the last 33 years to meet the changing needs of communities in Leeds. We have so many wonderful carers doing fantastic work throughout the city, and this really does make a huge difference to the lives of people needing support and their families. “Being a Leeds Shared Lives carer is very varied, and me and my husband enjoy many different aspects of it. Its really rewarding to have a part in helping adults with learning disabilities to reach their full potentials and gain independence, but there are other benefits too. “We have offered day support to two service users who were at different stages of Alzheimer’s, and meeting their needs, as different as they are, is just as rewarding. Sheila Booth has been a Shared Lives carer for more than twenty years and she loves what she does. Sheila and husband David are both retired and enjoy spending time with their grandchildren who visit often. “My social worker put me in touch with Shared Lives. I wasn’t sure at first what to expect and did feel a bit apprehensive. I realised though that I would never know unless I gave it a try – I’ve never looked back! Carers can be single people, couples or families and have a variety of different backgrounds and experiences. If you have the time in your life to become a Shared Lives carer, it’s worth finding out more. Leeds Shared Lives is recruiting carers who can offer support within their own home. No previous experience is necessary as training and expenses are provided. Please contact Leeds Shared Lives for more information by phoning 0113 224 3503, minicom 0113 247 8934 or email sharedlives@leeds.gov.uk . Shared Lives Week is a national celebration with activities happening all over the country.